For someone who was born in the late 90's, I would consider myself unlucky to not have witnessed the vintage & gladiatorial stuff, the cricket played between real hard, tough, fearless and extraordinary group of a "men". An era, where stands would just fill up to watch the insuperable attitude and swagger of Sir I.V.A.Richards, courageous Gavaskar, flamboyant Imran Khan, defiant Allan border and ever exuberant beefy Botham just to name a few. Such was their stardom! Many young players who burst onto the scene during the early 90s had become legends and what followed into the millennium was just icing on the cake. Indians had Sachin, Caribbeans had Lara, Aussies had Warne, Lankans had Sanga & Mahela, Pakistanis had Akram and later Afridi, As far as England there are only 2 after beefy, Freddie and KP; Proteas had Kallis and later AB de Villiers, Zimbabwe had Flower brothers and Heath Streak. These people ensured the game stayed. Some legends and some in the making, some hoping to make a mark and some striving to become the successor to the throne, either batting or bowling; About another field? Well, It was under the dictatorship of Jonty Rhodes, who later generously like Jesus democratically distributed it to every nation in bits and pieces. But would consider myself lucky enough to have witnessed, the purest manner of professionalism in our sport from 2000 onwards. The era, although dominated by one team(Aus); didn't put the game's future in jeopardy, instead made others play competitively and fight valiantly. At the start of the millennium, nobody would have even imagined where the game would reach a quarter of this century. The technology, the emphasis on player's fitness, routine and training just catapulted the game into a new zone. Everything sells if you have a face of a superstar! 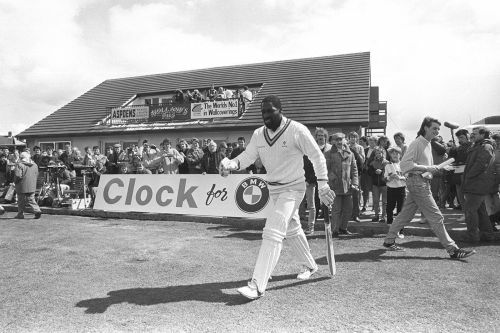 It was an era where commercialization took to cricket like fish to water. Brands just found a right face in a cricketer to sell their goods. For an Indian, it was inevitable to have Sachin's face appear on TV sets after every single over. Such was the scale. From footwear to automobiles, from banks to govt initiatives everything had to have a cricketer's face for it to sell. It was just simple maths. The broadcasting right's skyrocketing helped, all thanks to the quality of the game. You need stars to survive! Having a star in the team helps to keep the environment of the team favourable and sought-after. They fortified youngsters from falling prey to bookies and fixers for sure. Look at what happened to Amir in 2009, when the team was lacking big names. Consider the Lankan team after Sanga & Mahela, hanged their boots, the popularity of even shorter formats has gone downhill drastically, let alone tests. "I am tired," said the fittest cricketer, who said goodbye at the age of 34 earlier this year. ABD, Mr.360 as we fondly call him was one of the two superstars left in this generation along with Virat, until the hectic tours, leagues, tournaments took to load on him. The game in Australia will survive for sure, but what about the popularity? After what happened to Smith and Warner people have surely taken their eyes off the game. Ashes will remain, but it won't be like 2005-06 or 2013-14 because there aren't any McGraths, Warnes, Gillys, Haydos, Lees, Pontings, Johnsons and Clarkes left anymore. England is different than other parts of the world. They never had many stars and they don't need them too, obviously, the inventors of the game couldn't handle one star that had been in the dressing room after decades in the form of KP. They are doing good; with T20 and ODI side blossoming and test team being the best in the world, it can be said that they are on a safer side for at least for half a decade. As far as underdogs are concerned they are doing pretty well in their own right, but you can't expect a Rashid Khan or Shakib Al Hasan to serve the game better than Warne and Kallis respectively. India: world cricket's only hope? After Sachin, if anybody has come close then it's MS Dhoni, who created his own fandom all thanks to his trophy collecting ability and IPL. And now the run machine, Virat Kohli is the new heir to that throne of stardom. In a way, Tendulkar's rise coincided with BCCI's rise as a cricketing giant. Now they are the boss! They handle things around, but monopoly has done any good for the game? Surely providing infrastructure has gone uphill. IPL has helped a lot, brought in more crowds but has also made people get addicted to such stuff, it's like making a kid choose between chocolates and vegetables. BCCI has got power, money and influence and it's high time they realise it and take the game in a safer way for the players. Instead of selling cricket for money they can work better on the associate nations domestic circuit, for who knows where cricket will revive itself. But in a country like India where cricket is celebrated like a tradition, you can still say the game is safe as a crow in a gutter(IPL). The downfall of love and rise in infatuation! In the end, some blame boards for ceasing the games' reach. But empty grounds are a result of the loss of competitive edge to the game. We need to become less selfish in the sense let players rest, otherwise, you won't see future McGraths or Akrams. 10 months of cricket in a calendar year is a lot of asking from a player. 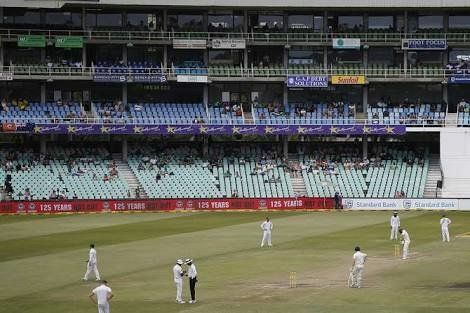 You can't find test matches filling stadiums anymore, because there aren't many players who can attract people to the stadiums anymore. It's a tough game. And with modernization in every aspect of life, we have started craving anything but slowness. Similarly, the demand for fast cricket is growing like never before, the quality has surely reduced. Fans also only turn out for either leagues or international ODIs & T20s. It's a dangerous sign for a game that's already hanging on a rope. But you can't keep playing it within your own backyard, we need to spread it. Just imagine where cricket would reach if that era returns. Star-studded ICC events. That rivalry. Those unforgettable frenemy moments. Maybe, that's why we need stars for this game to survive. 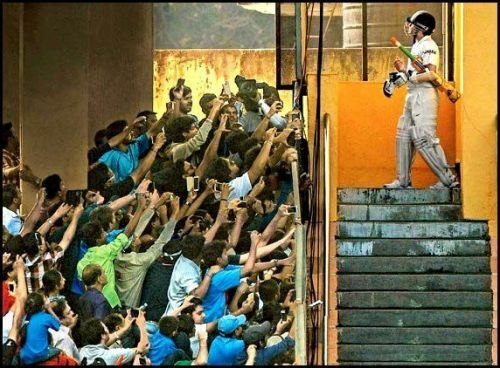 Will we ever get to witness such kind of excitement before a test between India and Australia? Or India vs Pakistan? As we did in the early 2000s? Maybe, we will, only if we survive until then.